The Fallout 76 beta launch date for PC has arrived, but there are still more sessions to come. So we’ve compiled the most important bits for you about how and where you can access the beta and what to expect from the beta experience. That acronym is fun, but it’s no joke – the first thing you should prepare yourself for are bugs. Lots and lots of bugs. According to Bethesda’s FAQ the beta will be the full game, with any progress and saves you make being carried over into the full release version in November. However, Bethesda says that the beta is a work in progress and highlights that players, “will likely see a glorious array of issues.” Players can submit feedback on any bugs or issues they come across, meaning that Bethesda can identity and fix these issues in preparation for the game’s full release. The beta lasts two weeks on PC. Bethesda has highlighted on their FAQ that the beta is a way to stress test the game, meaning that servers will not be running 24/7 and will instead be online in “targeted timeframes.” Bethesda has provided the next few sets of times, but warns that they’re subject to change. Here’s everything you need to know about the Fallout 76 beta. 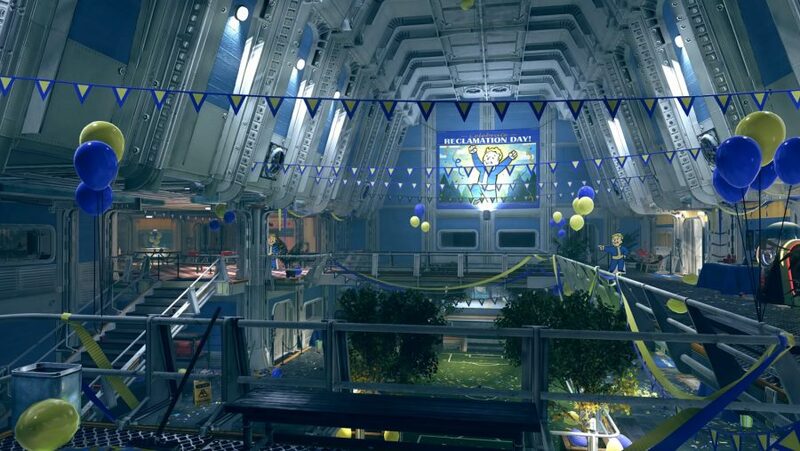 The first Fallout 76 beta release date session was October 30 on PC, two weeks before the game’s full release on November 14. Don’t fret if this session passed you by, however, there are still some sessions left. You can get the Fallout 76 beta on PC by downloading the Bethesda.net launcher. That’s assuming you have access, of course – scroll down for details on who gets in. Once you have the launcher scroll to the bottom of the page to find the option to download the game. The Fallout 76 beta will not be available through Steam and there are no plans to release the full game through Valve’s market place. In other words, the Bethesda launcher is the way to go. Remember when we told there will be bugs? Exasperated Fallout 76 beta players encountered various issues during the October 30 session, including the Bethesda launcher deleting entire pre-loads. There’s also the fact that messing around with Fallout 76’s VSync settings is allowing players to speed hack, but this has now been addressed with an FPS cap and FOV lock. The only way to access the Fallout 76 beta on PC is through the following steps: pre-ordering the game, creating a Bethesda account, and downloading the Bethesda launcher onto your PC. You can pre-order Fallout 76 through the game’s official website. To find out where else you can pre-order Fallout 76, Bethesda have created a web page listing “participating retailers” where you can pre-order the game. If you have already pre-ordered Fallout 76 through Bethesda then you will have automatic access to the beta as soon as it’s live. If you pre-ordered a physical copy through retailers, such as Amazon or Gamestop, then there should be a code on your digital receipt that can be redeemed on the Bethesda launcher. If you are going to use Amazon, beware, your code could take up to 48 hours to be sent to you. Check out our article on the Fallout 76 release date and get in the know about how Bethesda aim to stop griefing and whether there will be microtransactions in this new addition to the series.